In-app purchases on your iPad and iPhone have been a real boon to both developers and consumers, with the sharp increase in freemium games arising from the ease of in-app purchases. But for families sharing an iPad, especially families with younger kids, in-app purchases can lead to a rather nasty surprise once the iTunes bill comes in the email — which is why it can be important to turn off in-app purchases on your iPad or iPhone if one of your kids uses it to play games. 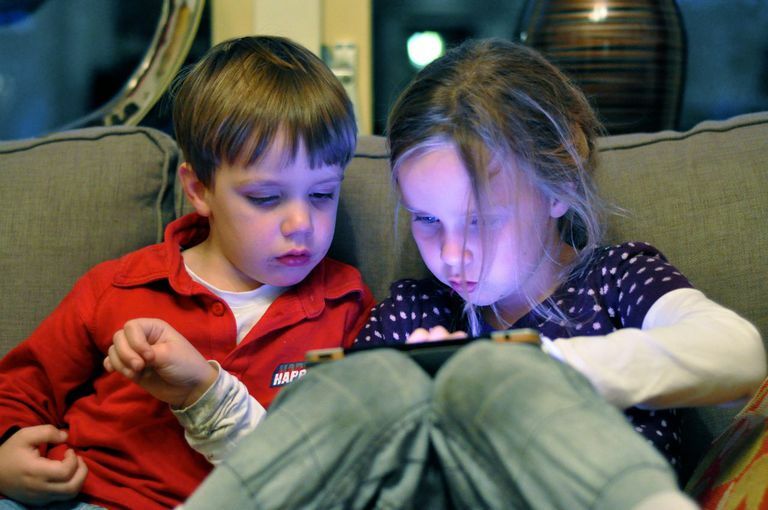 In fact, a study unveiled that in-app transactions account for 72 percent of app revenue, and parents have found that some of this revenue is generated by small kids playing a seemingly free game. This pattern has led to a class-action suit being filed because of the in-app game currency found in many free games. Before you can turn off in-app purchases, you must enable restrictions. These parental controls allow you to restrict access to certain features on the device. In addition to disabling in-app purchases, you can disable the App Store completely, set up a download restriction using an age-based restriction to allow your child to only download appropriate apps, and restrict access to music and movies. Open the iPad's settings. Choose General then Restrictions. When you turn on restrictions by tapping the button at the top of the screen, the iPad asks for a passcode. This four-digit code authorizes you to make changes to the restrictions in the future. You will be asked to enter the passcode twice, so you won't be locked out because of a typo. The passcode does not override restrictions, it simply allows you to change the restrictions at a later date. For example, if you turn off app downloads, you won't see the App Store on the iPad. If you turn off in-app purchases and then attempt to purchase something inside of an app, you will be notified that in-app purchases have been turned off. This passcode is also different than the passcode used to unlock the device. After you enable the iPad restrictions, you can turn off in-app purchases. With parental restrictions turned on, disable in-app purchases. You may need to scroll down the screen a little bit to located in-app purchases in the Allowed Content section. Simply slide the On button to the Off setting and in-app purchases will be disabled. Many of the restrictions offered in this section function implicitly, which means disabling app purchasing removes the App Store completely and turning off the ability to delete apps removes the little X button usually displayed when you hold your finger down on an app. However, apps that offer in-app purchases will still do so if you turn off in-app purchasing. Any attempt to purchase something within an app will be met with a dialog box that informs the user that these purchases have been disabled. What Other Restrictions Should You Turn On? While you are in the Restriction settings, consider a few other switches you may want to flip to help protect your child. Apple does a very good job providing you with a lot of control over what an iPad or iPhone user can and cannot do. Safari. You don't need to turn off Safari to keep your kid safe. Scroll down the restriction settings until you locate the Allowed Content section. This section lets you choose parental ratings for movies, music, and apps. If you tap Websites, you can choose to allow your kid access only to websites on a specific list, which is a great way of letting your child browse the web without worry. Camera. Turning the camera off will keep you from deleting dozens or even hundreds of photos your toddler might take for fun. FaceTime. This is a great tool for getting face time with grandparents and other relatives, but if your kid is going to playing with the iPad alone, it is probably best turned off except for times when you can supervise. Podcasts. Some of the restrictions are easy, such as taking away in-app purchases or the ability to install new apps. But one easily overlooked is podcasts, which are essentially talk radio shows broadcast across the internet rather than the radio. Most podcasts are innocent enough, but unless you have picked out some to share with your toddler, it might be easiest to just turn this feature off.